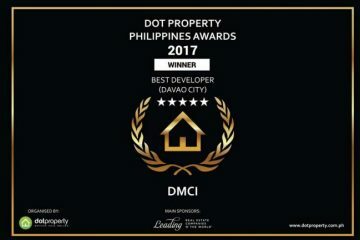 For those seeking the utmost in convenience and accessibility, DMCI Homes’ latest residential high-rise development in Mandaluyong-Pasig area is the perfect choice to be conveniently located near the country’s three main central business districts: Ortigas CBD, Taguig CBD (BGC), and Makati CBD. 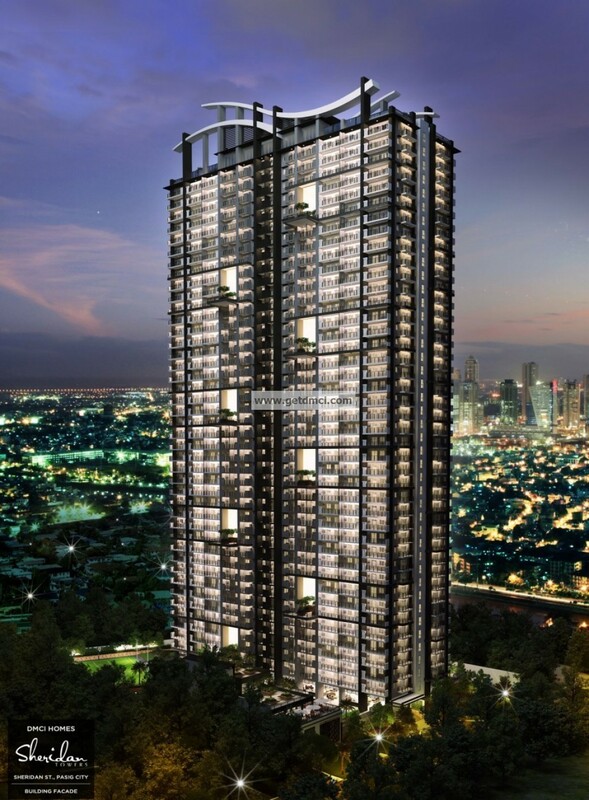 Sheridan Towers by DMCI Homes will rise on a 1.1-hectare property along landmark Sheridan Street, with a mix of one and two-bedroom unit offerings perfect for young urban achievers and start-up families. To its north, it will offer unmatched proximity to Ortigas Center at just 2.3 kilometers away via EDSA or Pioneer Street. Meanwhile, to the south, the bustling Bonifacio Global City in Taguig is just 4.5 kilometers away via EDSA or Carlos P. Garcia Avenue. 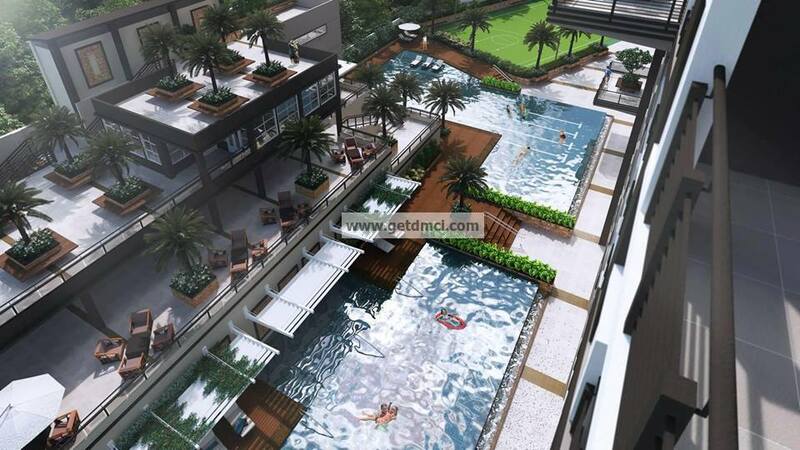 Then further south lays the traditional Makati CBD, which is just a 5.2-kilometer drive. Recently launched is The South Tower, the first of its two towers with a structure of 1,048 units and 5 levels of basement parking. Besides proximity, a wealth of surrounding commercial centers can be enjoyed as well, from community malls such as Forum Robinsons at the intersection of EDSA and Pioneer Street, to the larger and popular establishments such as SM Megamall and Shangri-La Mall. Likewise, first-class schools, hospitals, and other institutions are only a short drive or ride away. 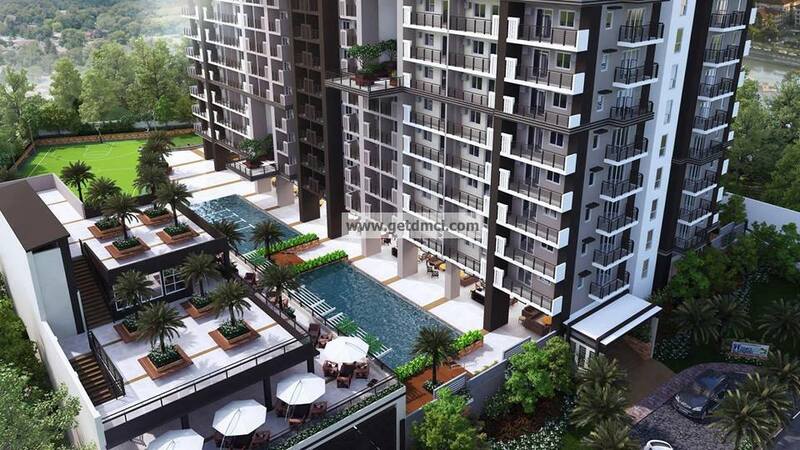 Sheridan Towers also has enviable access to Mandaluyong’s BPO-condo corridor along EDSA. 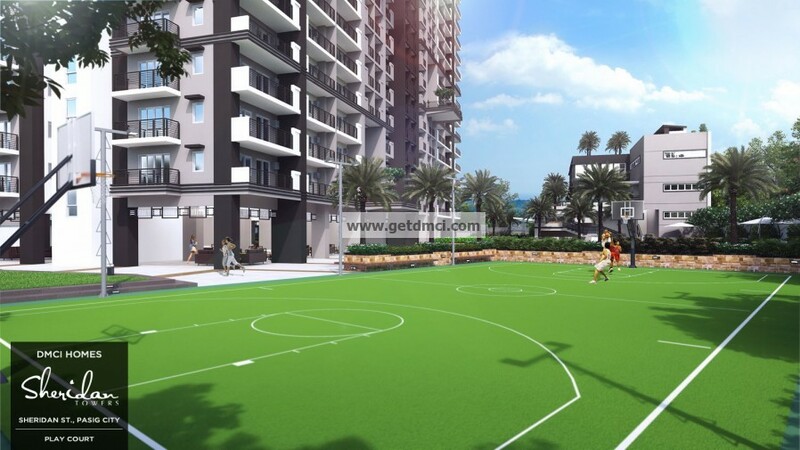 Its reasonable distance from the area serves as a buffer from the highway-traffic noise and rush-hour crowd. 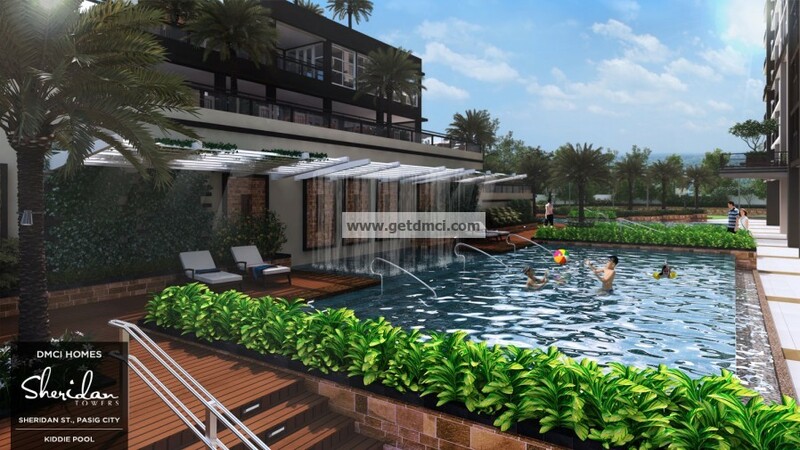 It also fulfills the essence of resort-style, tranquil living as DMCI Homes envisions Sheridan Towers to be. 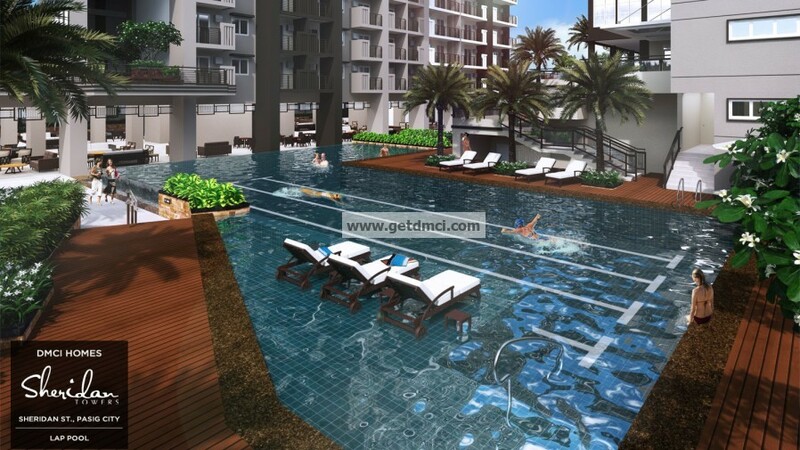 Modern amenities will make Sheridan Towers an active condo community—imagine teens plunging in a swimming pool, couples spending time together at the al fresco lounge areas, fitness enthusiasts enjoying the playcourt and fitness gym, or kids running around the playground. Families and friends can also get together in an audio-visual room, and gatherings can be celebrated at the function room. The resort lifestyle also permeates in the condominium interiors with hallways naturally lighted and ventilated by extended Sky patios and breezeways— a building feature only seen in the Lumiventt technology designed by DMCI Homes. Presence of garden atriums is also seen in every five floors. Living in Sheridan Towers will truly mean a life of comfort and convenience. The homeowners’ needs are served by a dedicated Property Management Office, day care center, convenience store, laundry station, and water refilling station. Residents can be assured of privacy and security through an electrified perimeter fence, security guards, and provisions for CCTV cameras. While in cases of power outage, a back-up power generator is always on standby. Residing within a resort-themed community surrounded by three CBDs is the ultimate in urban living thus making Sheridan Towers a homeowner’s pride.